Cost of living is about 90% of Tokyo. The home rent is about 40% of Tokyo. A round-the-clock hotline that enables you to call for help in any situation, even in case of emergencies. Full language support with English, Mandarin and Cantonese. Daily life or other consultation support. Nagano is a famous resort land in Japan, having the second most hot spring in Japan. Surrounded by this blessed environment along clear water and fresh air, Nagano has the longest life expectancy in Japan that attracts many Japanese to live here! Regional communication events carry out frequently in Nagano. Not only cultural experiences, volunteer activities are also popular here. They can enrich your student life! 75 min to Tokyo by Shinkansen; easy access to Nagoya, Osaka, Kyoto by bus. It will widen your choices of academic path. There are a lot of people who wish to get a job in Japan or at a Japanese company in their own country in order to make use of their Japanese language skills. So what kind of Japanese speakers are in demand in Japan and the world today? What’s required are not people who can solely speak Japanese, but people who have experienced Japanese, understands Japanese and the people who speak it. It can be said that studying abroad is the most idea method in learning and understanding the language, to interact with people, learn the lifestyle and rules, common knowledge, manners etc. MANABI Japanese language institute Nagano Campus has a lot of opportunities to interact with Japanese people throughout the year such as volunteer activities and festivals. The campus also offers an ideal environment where you can concentrate on your studies. For a fulfilling study abroad here, all staff will support each and every one. 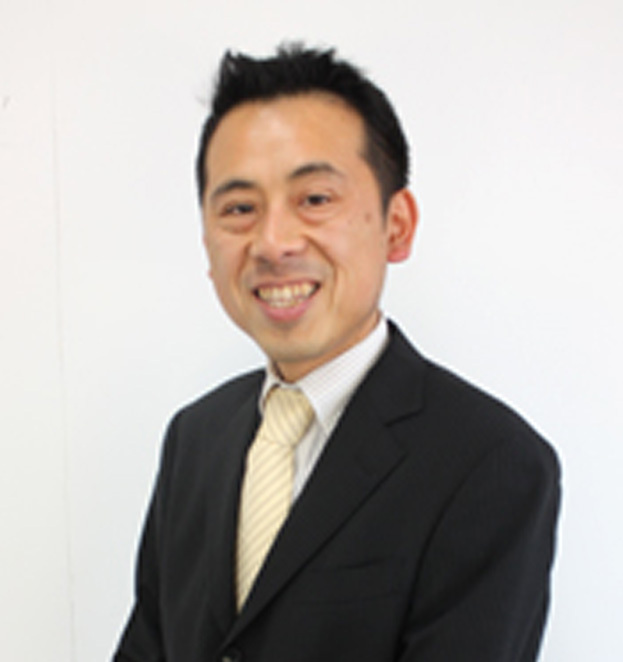 MANABI Japanese Language Institute aims on training Japanese "practical skills". For "practical skills" to be trained we will develop a curriculum that will emphasize more on the basics (beginner level), we will also boost the command capability and accuracy while balancing and improving the four skills. In addition, to be able to smoothly move to the intermediate level we establish repetitive learning for students from non-kanji countries. "Practical skills" means getting good results in Japanese Language Proficiency Test (JLPT) and Examination for Japanese University Admission for International Students (EJU). For Japanese Language Proficiency Test (JLPT) we conduct intensive review classes and develop practical thinking skills 1 month before the exam. 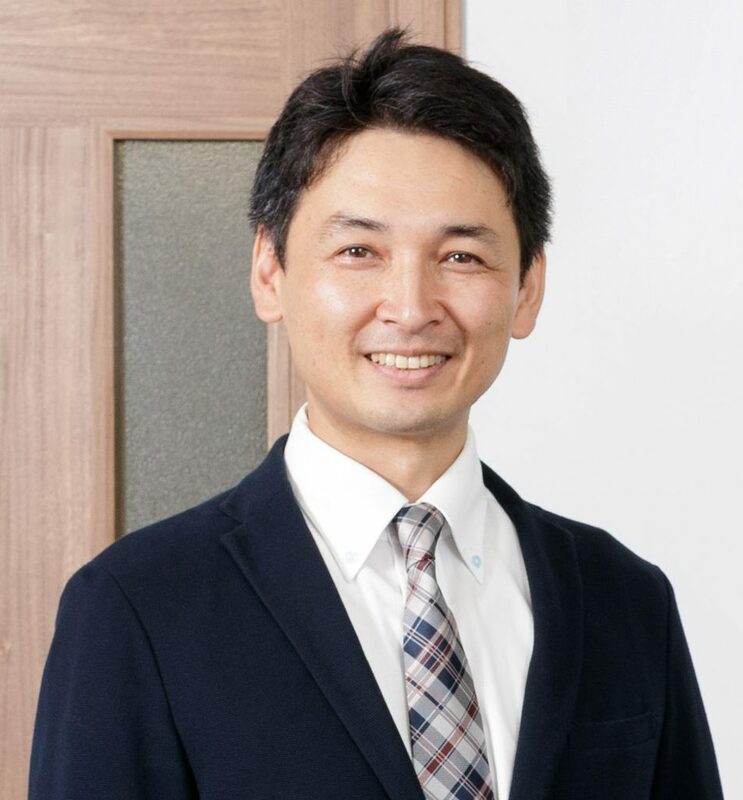 For Examination for Japanese University Admission for International Students (EJU) we do not only conduct Japanese classes but also basic fundamental subjects (general subject and mathematics). The staff will provide our utmost support for students to be able to devote themselves in studying Japanese with a peace of mind. 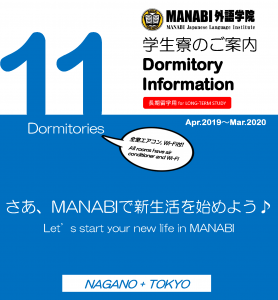 Here at MANABI Japanese language institute, in both Nagano and the Tokyo campuses, we provide school dormitories for students to be able to live in a secure environment in Japan. Since we have a lot of dormitories to choose from, students can feel secure in starting their life here in Japan. Be able to participate and experience a variety of activities which helps to feel the four different seasons of Japan first hand. At the Nagano Campus, you will be able to interact closely with Japanese people through the participation of volunteering activities and community events.